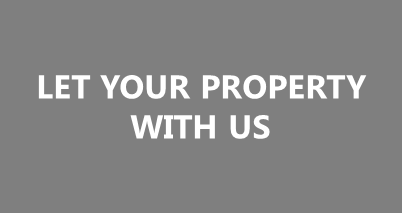 Housing Company Lettings Policy – GUARANTEED RENTS; COMPREHENSIVE PROPERTY MANAGEMENT. LED BY CAMBRIDGE CITY COUNCIL. GUARANTEED RENTS; COMPREHENSIVE PROPERTY MANAGEMENT. LED BY CAMBRIDGE CITY COUNCIL. Cambridge is at the centre of an area of growth. Households in the greatest housing need are given priority for social housing in the city. Those who have the financial resource can access market housing. However, the open housing market is unaffordable for a large number of households who work in the city or have long established connections with the city. The objective of the Housing Company is to meet housing need and generate a financial return for the Council on this and any other property related activity. The Housing Company will aim to provide rent at less than market levels and typically at 80% of market rent. For the purposes of this document, this will be referred to as intermediate rented housing. In establishing a Lettings Policy for intermediate rented housing, although this will be a separate policy, it will adhere to many of the principles set out in the Council’s Lettings Policy for social housing and Affordable Rented through the choice based lettings system. To be eligible to apply for accommodation owned by the Housing Company households should first be registered on the Council’s choice-based letting system, Home-Link. (New applicants will receive information on the difference between a social letting and a letting with the new Housing Company). To be registered the household will need to satisfy the Council’s core eligibility and qualification criteria as set out in chapter 3 of the Council’s Lettings Policy for social and affordable housing. The accommodation must be affordable to households applying. The Strategic Housing Market Assessment definition of what is an affordable amount to pay for housing is no more than 33% of gross household income. If an applicant has an income that demonstrates that the Housing Company rent would consume less than 25% of gross household income then it will be assumed that the household can solve its own housing need. The Council’s Lettings Policy for social and Affordable Rented housing currently has the scope to place households, who have sufficient income or capital to find alternative housing solutions, in a low priority band. Under section 4.13.1 of the Council’s Lettings Policy for social and Affordable Rented housing “all qualifying applicants are entitled to apply for housing regardless of income levels. However if an applicant is assessed as having income and/or capital, which will enable them to resolve their own housing need they will not receive any preference for social housing and, when bidding, will appear on the shortlist after all other applicants that do not have the resources to resolve their own need. When a property becomes available for letting through the Housing Company, applicants registered on Home-link who have incomes that would qualify them for housing by the new Housing Company will be invited to opt for this housing rather than social housing. d) The ability of the applicant/partner to rent a property in the private sector based on a realistic assessment of their financial position and commitments. If there is no suitable household registered on Home-Link the property will be advertised locally and the same eligibility criteria will apply. Household size – households will be able to be considered for properties that match their bedroom eligibility as set out in the Council’s Lettings Policy for social and Affordable Rented housing or allows them to under-occupy by one bedroom under the same bedroom eligibility criteria.